As some ladies are busy scamming men of their hard earned money under the guise of romance, other smart guys are also living parasitically on their partners. 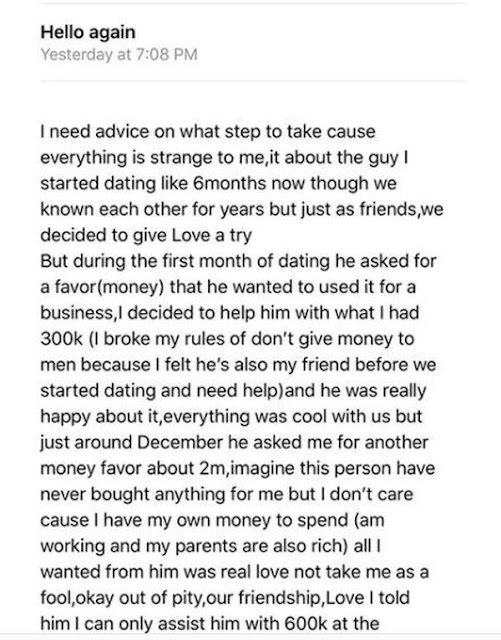 Psychologist and love doctor, Joro Olumofin has shared the story of a rich Nigerian girl who has been freely paying money into the bank account of her boyfriend who seems to be milking her. 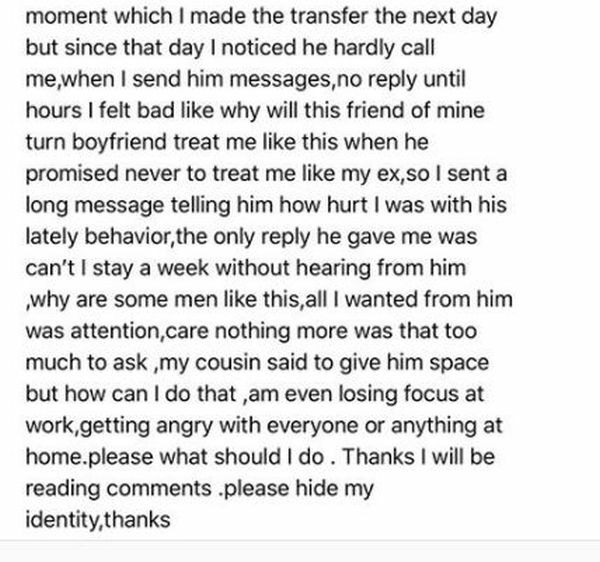 She is currently confused and seeking advice from social media users.